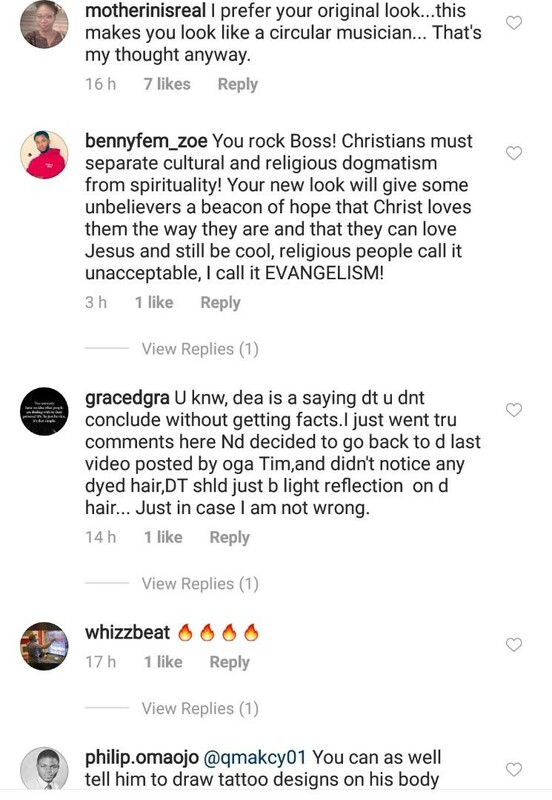 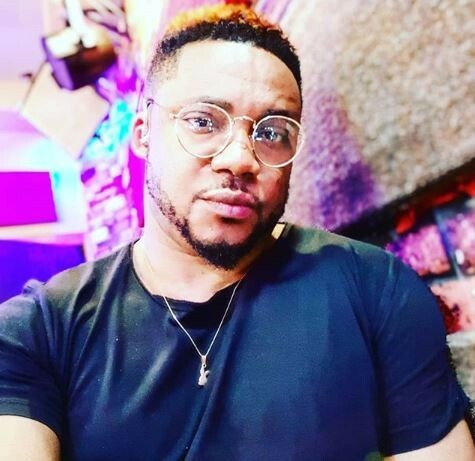 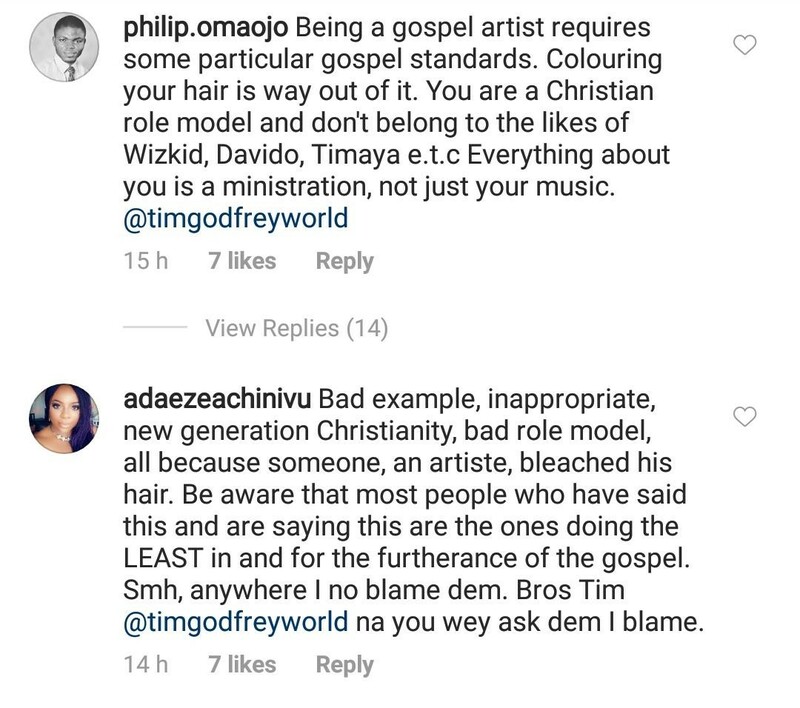 Gospel singer, Tim Godfrey recently changed his look by tinting part of his hair to colour ‘Gold’. 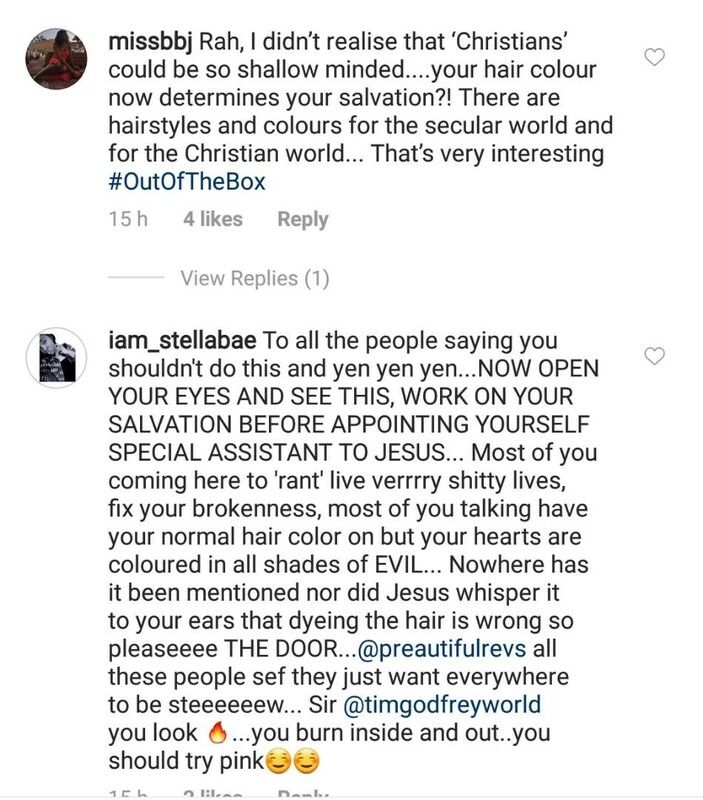 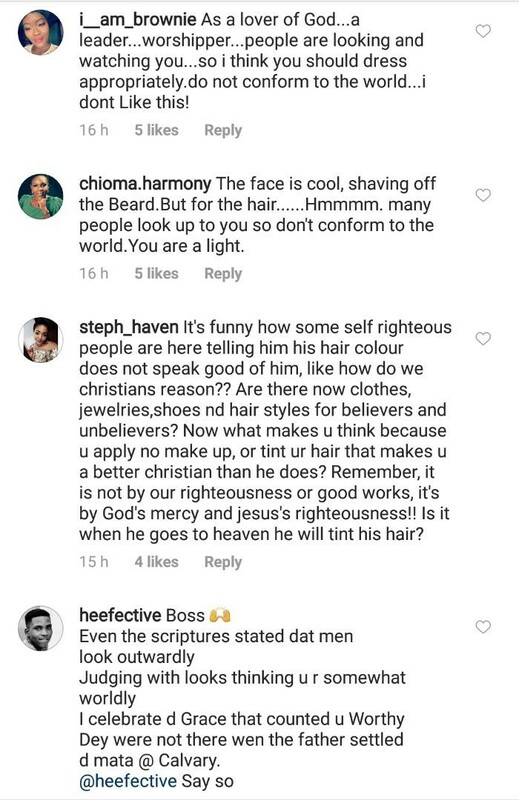 He shared photos of his new look and said, ‘what do y’ll think about my new look? 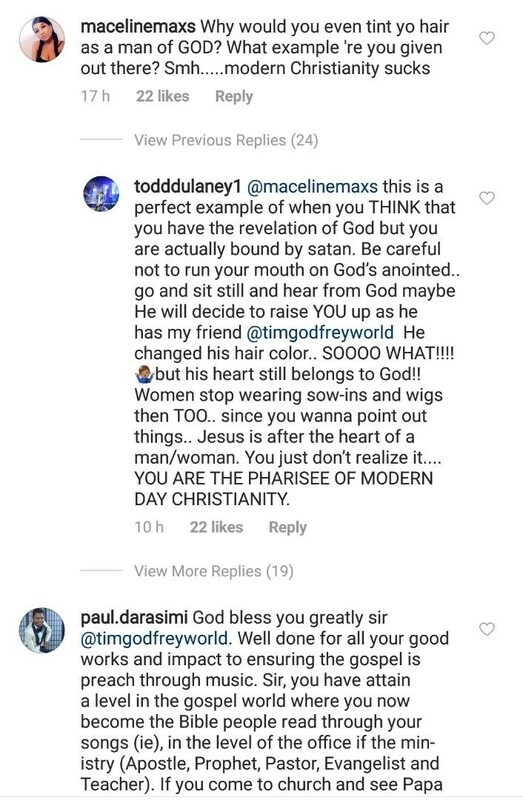 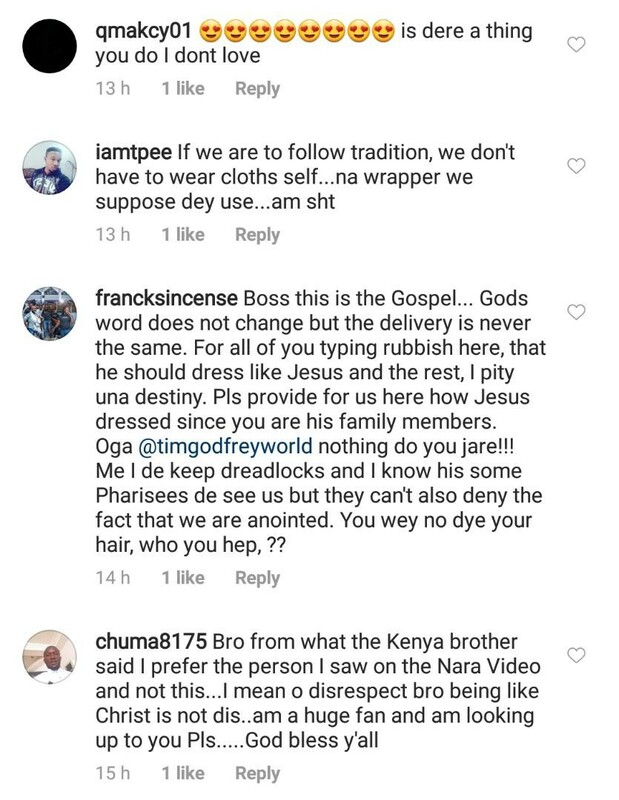 Oga Tim the fact s that am not judging bt to be honest wit u this style of urs looks worldly, u re a minister of God and God’s eye’s also, should not be equally yoke wit the circulars.